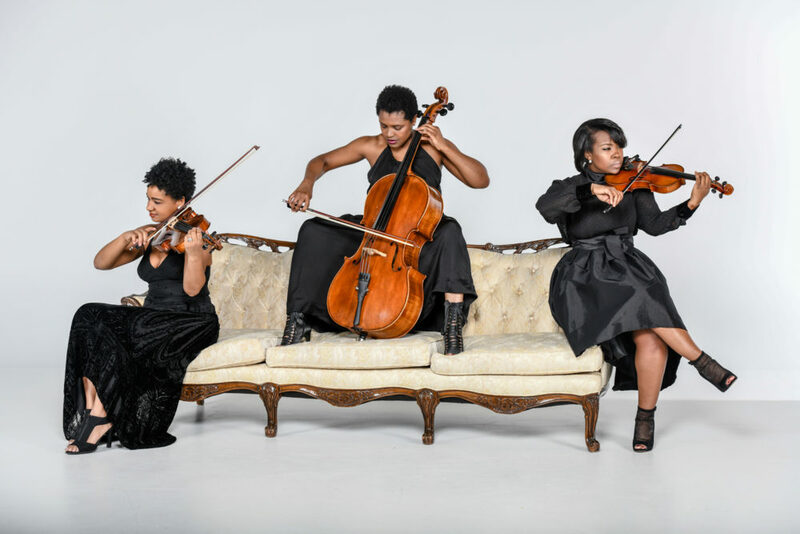 Praised for its “authentic, soulful, and orchestral sound”, The String Queens is a dynamic trio that creates stimulating musical experiences that inspire diverse audiences to love, hope, feel, and imagine! With an array of repertoire spanning from the Baroque era to the Jazz Age to today’s Billboard Hot 100 Chart, The String Queens perform versatile programs that transport audiences through time and a multitude of musical genres. Based in Washington, D.C., TSQ members have been featured in famed performance venues across four continents including Carnegie Hall (New York, NY), The Howard Theatre (Washington, D.C.), Royal Festival Hall (London, England, UK), Radio City Music Hall (New York, NY), Shanghai Grand Theatre (Shanghai, China), The John F. Kennedy Center for the Performing Arts (Washington, D.C.), Joseph Meyerhoff Symphony Hall (Baltimore, MD), The Moscow Conservatory (Moscow, Russia), Blues Alley (Washington, D.C.), The Birchmere (Alexandria, VA), and The Music Center at Strathmore (Bethesda, MD), to name a few. TSQ members have also shared stages with award-winning artists including Ledisi, Solange, Leslie Odom Jr., Janelle Monae, Jennifer Hudson, Ariana Grande, Demi Lovato, Common, Aretha Franklin, Fantasia, Mos Def, Whitney Houston, Richard Smallwood, Jussie Smollett, Andra Day, Donnie McClurkin, Larry Graham, Donald Lawrence, Kurt Carr, Lalah Hathaway, Wynton Marsalis, and Ruben Studdard, among others. As chamber and orchestral musicians, TSQ members have performed under the batons of legendary musical directors Ray Chew, Michael Bearden, Alan Gilbert, James Conlon, Rickey Minor, Adam Blackstone, Darin Atwater, James DePriest, Michael Tilson Thomas, and many more. 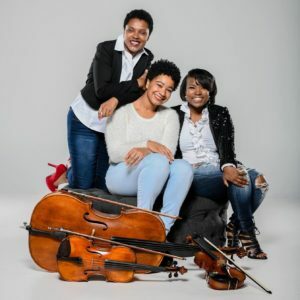 With extensive experience collaborating with some of the greatest musicians of our time across a variety of musical genres, TSQ members have collectively developed a memorable and unique sound rooted in the highest level of artistry ready to be delivered to awaiting audiences.